Sun., April 7, First Sunday Poetry, “Kindness Spoken Here.” 9:30 AM – 3rd Floor Library. This month’s theme is “Poems from Prison,” selections from a large collection written by people incarcerated in America’s prisons. Bring a poem or just come to regard. Contact Ron with questions. Thurs., Apr. 25, Congregational Book Group Meeting, 7:30-9:30 PM. This month’s book is “River of Shadows: Eadweard Muybridge and the Technological Wild West” by Rebecca Solnit, which is both a critical essay on the art of Muybridge, who invented high-speed photography, and a reflection on the meaning of space and time. It covers art, technology, history of California, and philosophy. Much acclaimed; only 312 pages. For information about location and accessibility, contact Emily. Sun, April 14, Not An Ordinary Earth Day Service, 10:20 AM to Noon. Come to the Earth Day Service: Join Jack Macy, Corless Smith, and guest Youth Activists. Stay for Coffee Hour: Learn how to reduce your carbon footprint. Use the poppy board to show your commitment. Find out how to influence government. Pick up refrigerator checklists to help with change. Get a rainbow Earth Justice sticker to celebrate your accomplishments.Questions? 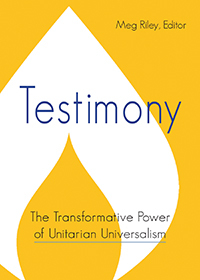 earthjustice@uuoakland.org *please note that last week the wrong email address was published. The above email is the right one!